Good evening people! How was your weekends? As much as I wanted the time to moves slower, it seems that March is coming to an end now. It is a fruitful weekend, with Major All Stars being held in Malaysia and a historical moment should not be forgotten in the e-Sports scene. Anyway, let's kick off a new week with thoughts on acne skin. Most people with acne are aged between 12 to 25 (and that's me!) , but some younger or older people are having acne too. Acne usually affects the face but it can also affect the back, neck and chest. Generally, the glands produce sebum to keep the skin supple and smooth; however, the more sebum produces, the greasier the skin feels, your acne tend to be worsen. Acne can be controlled by having proper diet and skin care routine. Having suitable skin care products will help to control acne breakouts, slowly recovering the skin condition. OXY is one of my secret weapons to counter acne when I was younger, and it has been on the market for a very long time. 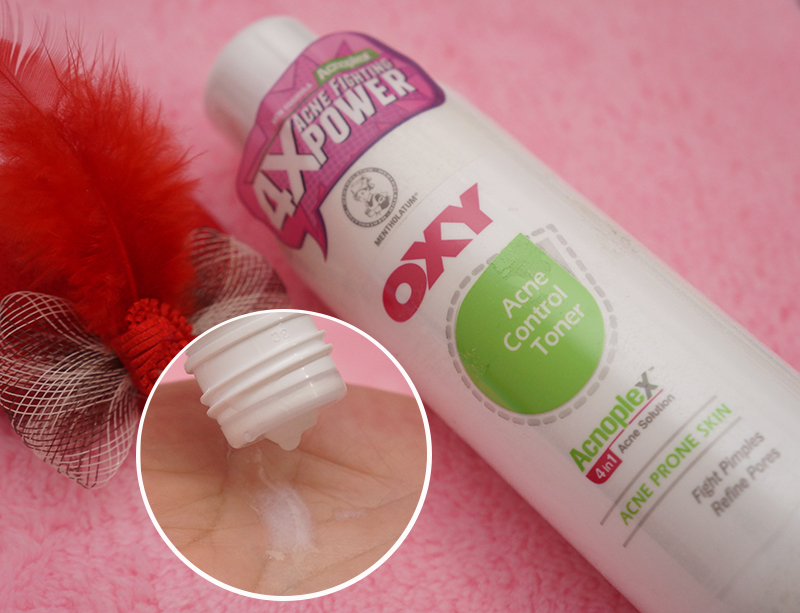 Right now, OXY has introduce the new and improved acne skin care solution products: OXY Acnoplex series! Isopropyl Methyphenol and Salicylic Acid help to remove dead skin cells and penetrate deep into pores to unclog pores and fight pimples. Cantella Asiatica Extract helps to lighten pimple marks and dark spots, revitalize the skin for a fresher look. Avocado extract controls excess oil secretions. Olive Oil and Seaweed Extract that has ultra-moisturising properties to relieves dry skin from deep within the pores and maintains moisture balance. Where to purchase: Pharmacies such as Watson, Guardian and majority multinational shopping centres such as Tesco and AEON. Functions: Effectively remove impurities, dirt and oil trapped in pores. It also soothes blemished skin and prevent potential blemishes. Functions: Improve dull completion, lightens pimple marks and enhance skin fairness. Functions: Refine pores and absorbs excess oil with oil absorbing powder.